I often get an after dinner sweet tooth. The urge hits…I’ll be winding down either reading, blogging, or watching TV and then out of no where…I. Want. Something. Sweet! All clean-eating consciousness is overridden by this craving. Its just me and finding a means to satisfy the beast. My rational self knows I don’t want to overindulge. So I will make these in preparation for the inevitable sweet-tooth. You can also try adding raisins, craisans cashews, or shaved almonds! I like having one of these with a cup of my favorite Yogi Bedtime tea. It seriously is the perfect guilt-free sweet tooth fix. 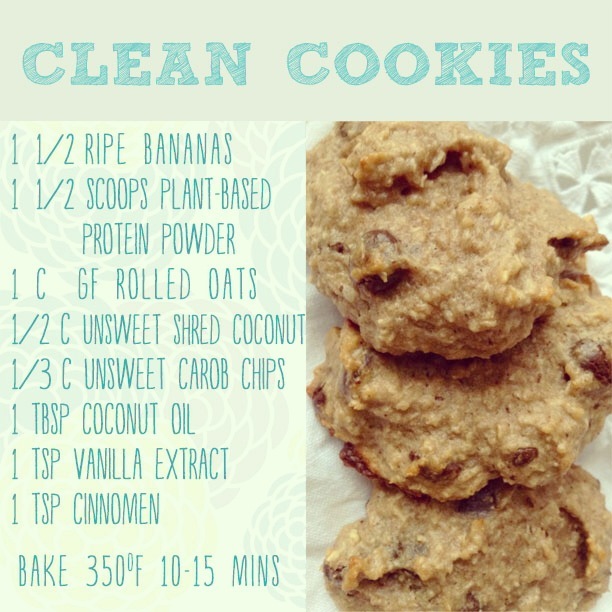 And the protein helps lower the glycemic index making them perfectly guilt- free!